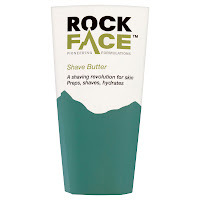 Rockface makes "first shave butter"
To shaving, and I've been sent samples of Rockface's new shaving butter and body spray. I'm going to declare quite openly that I'm not a fan of scented deodorants; they have a scent (there's a clue in the word 'scented') - I'd rather my own sweaty aroma was masked leaving me free to chose my own cologne, thanks. The smell of this one is not offensive at all and if you're OK with these products it's a good one. More interesting is the shave butter (pictured). It claims to be the first of its kind and I've no doubt it's the first to be called 'butter' - a spillover from the female cosmetics industry is that stuff has to be called butter rather than cream sometimes and other such naming jollities. I don't care about that. I also don't care that it does substantially the same job as a shave oil - lubricates the skin a bit so your razor doesn't stick and cut you and achieves a smoother and indeed closer shave - or the Proraso shave preparations about which I've spoken on here before. No, I care that it does the job equally well if not better, doesn't leave a residue like shave oil, has a light scent that fades very quickly, doubles up as a post-shave balm and does it for just under a fiver (I've been paying over twice that for the Proraso stuff). The same company offers its own balm but I find this calms the skin down just as well. 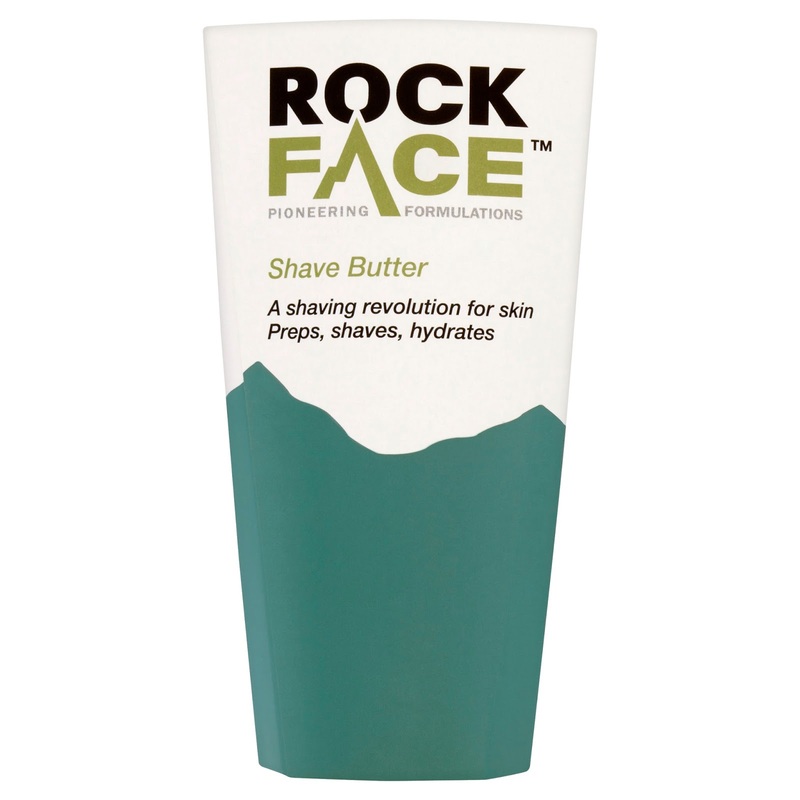 I shall certainly be buying it again and would recommend it to anyone wanting to improve their shave - although not as much as I'd recommend using a good cleanser on your face first and keeping the razor clean with hot water. That and not pressing too hard will get you over a lot of shaving rash issues, but this makes a good addition. I've been playing with gadgets again. This time it's the Netatmo Weather Station, a handy little gizmo - or pair of gizmos - which turn your iPad and/or iPhone into a weather station. They use an app, they talk to your phone and tell you when it's raining. OK, the last bit was an oversimplification. As I write in the formerly sunny Norwood it has started pelting down. Obviously I don't need a piece of technology to tell me this. Last week, however, a family member was suffering a little with breathing issues due to pollen - we live opposite a microscopic park (already my home sounds posher than it is) and if you have hay fever this can become very difficult, particularly combined with an unkempt (read 'completely neglected for years) garden next door. So an indoor and outdoor gadget that tells you what the air quality is like is something of a help. You can monitor temperatures and air quality through the apps, which are of course free, and set alerts when they reach a certain level. For £139 it could be an expensive way of seeing whether it's raining or not if you're not all that worried by the temperature. In the current heatwave, however, if you're prone to breathing issues it could be a very good investment - and you can buy extra modules to monitor different rooms if, say, you have kids.